I don’t have to tell you mobile apps are hot right now. It’s an exciting technology area to be involved with and Android is one of the platforms generating considerable momentum. 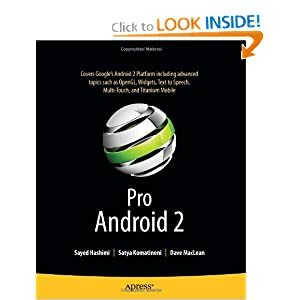 If you have some Java programming experience or want to learn it, the Android platform provides one of the shortest ramp-ups in mobile app development. This post will provide you with a super-fast technical overview of the Android platform and underlying technology and will help you get up and running with the tools for development. If you are completely new to Java you might want to start with some Java tutorials first to get your feet wet. With that out of the way, let’s get started. 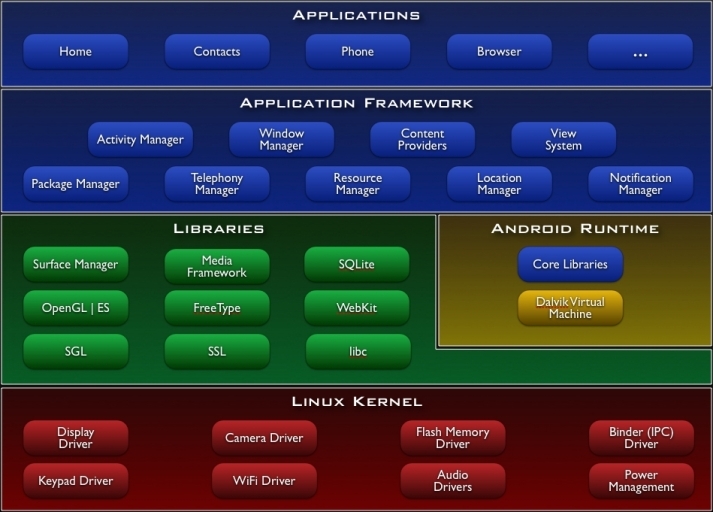 Android is a mobile devices software stack including OS, middleware, and applications. The Android SDK provides the tools and API’s for development in Java. Each Android app runs in its own process and instance of Dalvik VM. What do I need to develop on Android? How do I get started developing with Android? 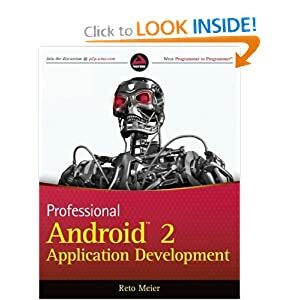 Getting started is pretty straight forward but there are several steps involved and a lot of details on Google’s Android Developer website that might make it a challenge to keep everything straight. I’ve put together a list of steps you can follow in order to get up and running as quickly as possible. Choose The Eclipse IDE for Java Developers. In the Add Site dialog that appears, enter a name for the remote site (for example, “Android Plugin”) in the “Name” field. Note: If you have trouble acquiring the plugin, you can try using “http” in the URL, instead of “https” (https is preferred for security reasons). Back in the Available Software view, you should now see “Developer Tools” added to the list. Select the checkbox next to Developer Tools, which will automatically select the nested tools Android DDMS and Android Development Tools. Click Next. Select Window > Preferences… to open the Preferences panel (Mac OS X: Eclipse > Preferences). For the SDK Location in the main panel, click Browse… and locate your downloaded SDK directory. 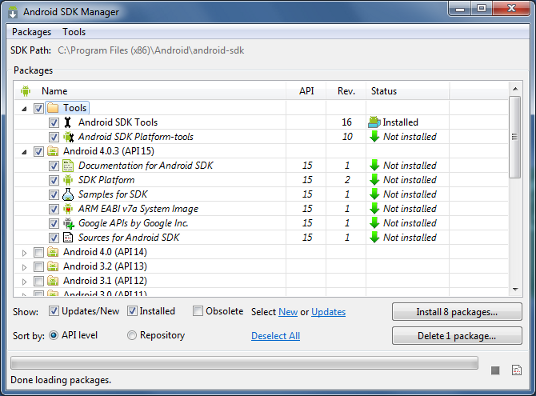 Select Window > Android SDK and AVD Manager. Select Available Packages in the left panel. This will reveal all of the components that are currently available for download from the SDK repository. Select the component(s) you’d like to install and click Install Selected. Choose the SDK platform version(s) to get started with, you can start with 1.6. Samples – Source code to learn from for each version of the platform. Verify and accept the components you want and click Install Accepted. The components will now be installed into your existing Android SDK directories. New platforms are automatically saved into the <sdk>/platforms/ directory of your SDK; new add-ons are saved in the <sdk>/add-ons/ directory; samples are saved in the <sdk>/samples/android-<level>/; and new documentation is saved in the existing <sdk>/docs/ directory (old docs are replaced). You’re now all set to start Android development! Open the projects and look through the source code for the Android samples you downloaded above. There are various already built applications you can read through to understand how certain things are done in Android. Find Google open source projects where you can read code for applications that have been published to the Android Marketplace.